In areas of conflict, people lose their limbs every day due to weapons and mines. Prosthetics could help the victims, but even simple models are unaffordable for most sufferers. Researchers at FAU and Fachhochschule Lübeck are working together on a way to develop custom-fit prosthetics, with the help of 3D scanning and printing, which is simple and inexpensive, yet can be done locally using recycled materials. Their work has now been recognised as one of 100 projects in Germany as a ‘Landmark in the Land of Ideas’. The 3DPro project was initiated by Dr. Christian Zagel from the Chair of Services, Intelligence and Processes. The FAU researcher had the idea during his work on a 3D body scanner, which creates a three-dimensional image of the body using a camera. This allows customers to try on clothes virtually in an online store. But the system is also suitable for other purposes, where fit is of great importance – like prosthetics. Bruising, pain and inflammation can only be avoided if the stem of a prosthesis is tailored to the individual patient. Dr. Zagel is working closely with colleagues from other disciplines beyond information systems. Individual components for scanning of injured limbs are being developed by Prof. Dr. Günther Greiner and Prof. Dr. Marc Stamminger, researchers at the Chair of Computer Science 9 (Computer Graphics). The required images are taken with a 3D camera or with a simple mobile phone camera which is more difficult. 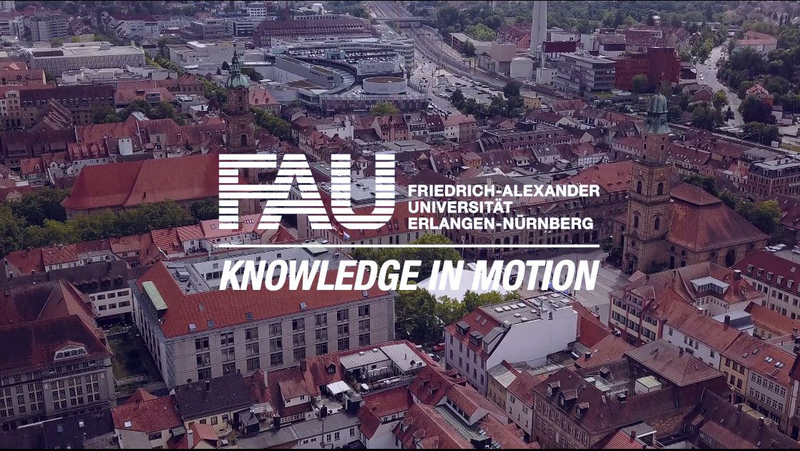 To make sure that the system can be operated without technical knowledge, researchers led by Prof. Dr. Monique Janneck and Adelka Niels, Department of Electrical Engineering and Computer Science at the University of Applied Sciences Lübeck, are working on the design of the user interface and usability testing. The prosthetics will be produced with relatively cheap 3D printers, from recycled plastics such as plastic cups. To increase comfort, the prosthesis stem will be lined with soft silicone. ‘We want to make sure that local doctors can work with the system and that they do not need special cameras or expensive 3D printers, trained engineers or orthopaedic specialists,’ explains Christian Zagel. The first prototypes have already been printed and the researchers are testing different materials for longevity and stress resistance. Funding methods for the future of the project after the research has been completed are currently being explored, for example the potential of crowdfunding. Once the software is ready for the scanning process, the researchers want to start scanning and printing for test subjects. By 2017, they plan to be able to produce their first prosthetics for patients. An extension of the project to other prosthetic shapes and orthotic devices is also planned for the future. The project which was launched in January 2015 is supported by the citizens’ initiative ‘Sulzbach-Rosenberg hilft!’, a voluntary organisation for refugee assistance and integration of refugees, and the Staedtler Foundation. Under the motto ‘Neighbourhood innovation – success through community’, 3DPro was selected by an expert jury from around 1000 applications in 2016 as a ‘Landmark in the Land of Ideas’. In the competition, the ‘Germany – Land of Ideas’ initiative and Deutsche Bank recognise pioneering ideas that tap the potential of communities for working together, co-operating, and networking to help society to solve current or future challenges. The award ceremony will take place in early December in Nuremberg as part of the Ludwig Erhard symposium. For Dr. Christian Zagel, it has now been the second time in a row that he has been successful in the competition. Last year he won with his thesis project in collaboration with the adidas Group which deals with the shopping experience of the future.